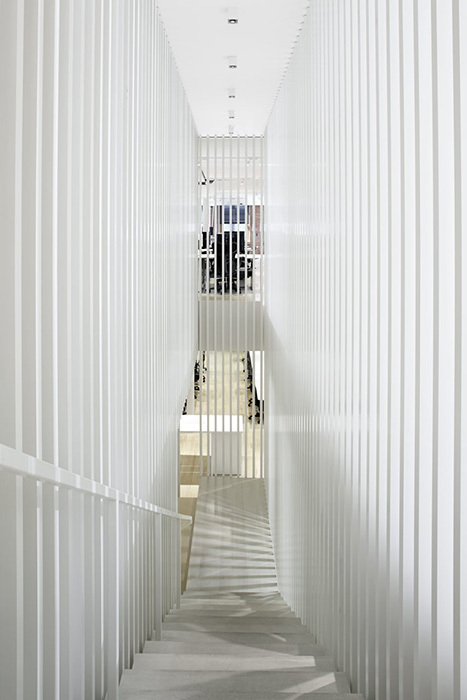 Square’s NYC office takes up three floors of a landmark building located in the SoHo Cast Iron district. It totals 30,000 square feet, each floor measuring 10,000. Two floors are complete to date. The design concept is rooted in the company’s philosophy. Square, a financial services firm that pioneers market payment products, cultivates team work, individual development regardless of level or role, and social engagement. Square is known for a clean, minimal, reason-driven design esthetic, and an obsessive attention to detail. The project is a collaboration with Bostudio Architecture, the architect of record. The firm also provided construction documents and project management.